What risks are associated with hernias? As long as the hernia sac can be pressed back into the abdomen, many people live with this situation – often because they are afraid of surgery. A hernia never disappears by itself, however. 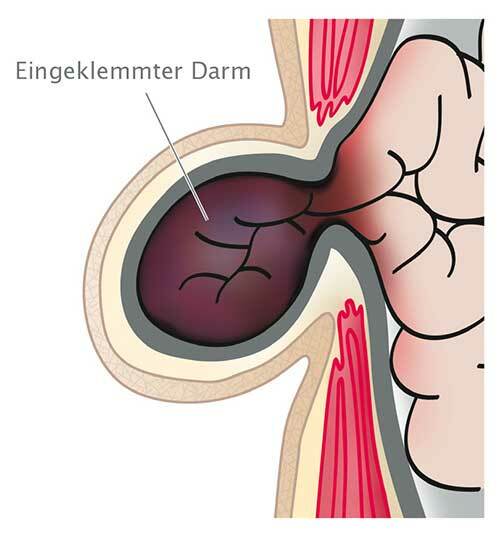 Quite the opposite: every repeat protrusion increases the size of the hernial opening and the symptoms get worse. If the loops of the bowel that are included in the hernia sac become strangulated or pinched off and are cut off from the blood supply, this can lead to incarceration of the organs, death of the tissue or blockage of the bowel. In the worst case, this can be life threatening. Patients with a hernia should definitely seek out specialist medical advice so that therapy can be promptly initiated.